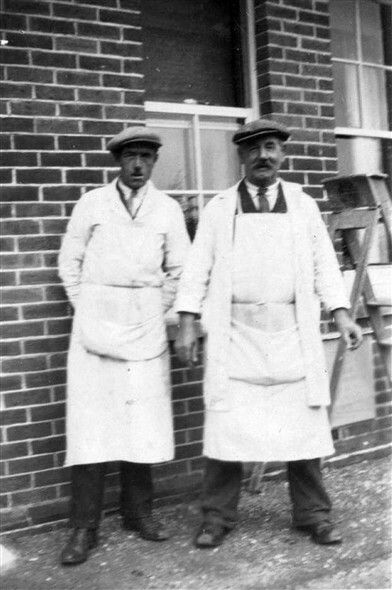 My Grandad Ernest Howard on left any one know who the other chap is? 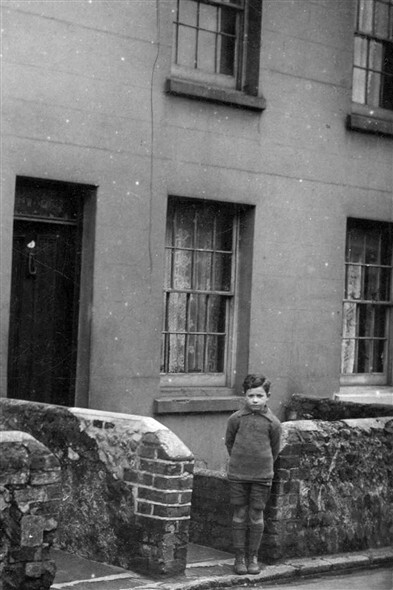 My Father Albert Howard aged about 5 outside his home 5 Sussex Place around 1924. 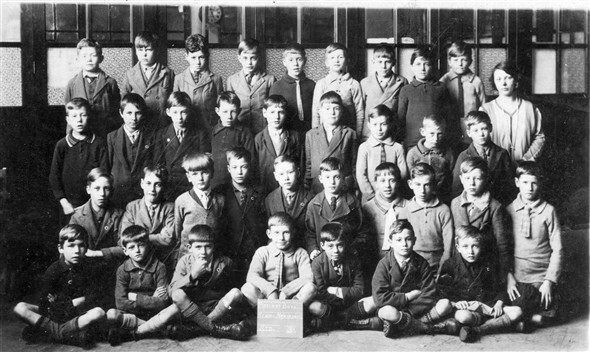 Meeching Boys School Newhaven standard 3 my father is 3rd from left at the back, he looks about 8 so this would be about 1927. Can you recognise anyone else in the picture. This page was added by Terry Howard on 05/03/2010. Hi Terry. Did your father work in the office of Bannisters Builders? I seem to remember him when I worked for Bannisters. Yes John, Dad worked in the office with Bob Bannister, and his secretary was Julie Vacher whose dad was Frank Vacher, the wood machinest in the joinery shop. I seem to remember you when we built two bungalows at Hawth Hill in Seaford, I was working under Keith Godfrey then. You came and did some work there. Thinking about my grandad at this time. 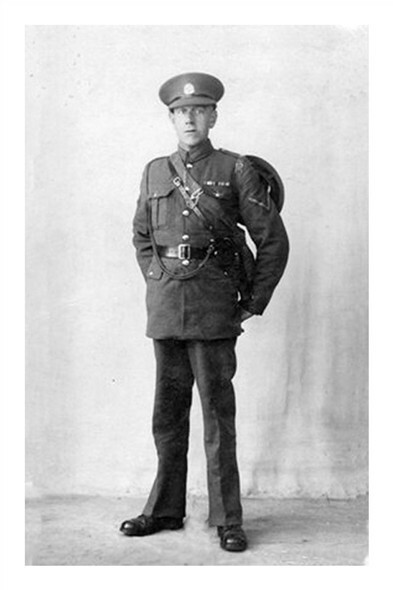 My dad said that he was a corporal in the East Lancashire Regiment, I have his medals which are stamped with his name rank number and the letters DVR which I am told meant he was a driver. He was gassed twice and although he died when I was 3 years old I can remember him having to take a white powder with every meal. He and my gran are buried in Newhaven cemetery. I was looking through granddad's army records and found out that the letter T prefix to his number meant that he was involved with horses. Being a driver I presume he was involved in horse transport. I always wondered where my daughter's love of horses came from.